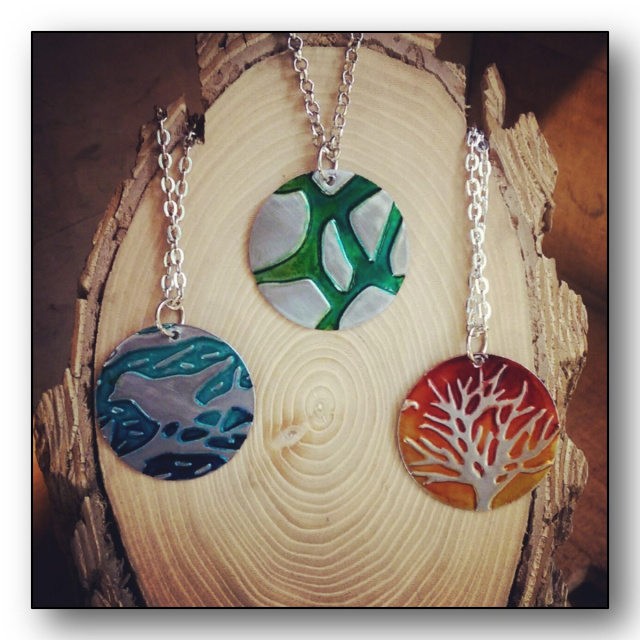 BloomsAndBaubles- Handcrafted, customizable metal, leather and glass photo jewelry. Welcome to Blooms and Baubles! We offer custom work on most of our items! From photo pendants to cuff bracelets! Come visit us at our permanent locations! Rust Belt Market in Ferndale, MI! This artists collective features the best of the Michigan creative scene, as well as unique vintage and antique items. Open Friday 12-7, Saturday 11-7 and Sunday 11-6. Come see us in person at this location only! Frontier Town Arts & Crafts Mall in Romeo! Featuring the rustic backdrop of Frontier Town, this location features the newest of our handcrafted jewelry & our birch wood roses. Open 7 days. We are Uniquely Different Jewelry Creations. We were established in 1994. You may have seen us at a Michigan, Ohio or Indiana market or festival. Due to the requests of many guest wanting to shop beyond the summer season, we're now online!